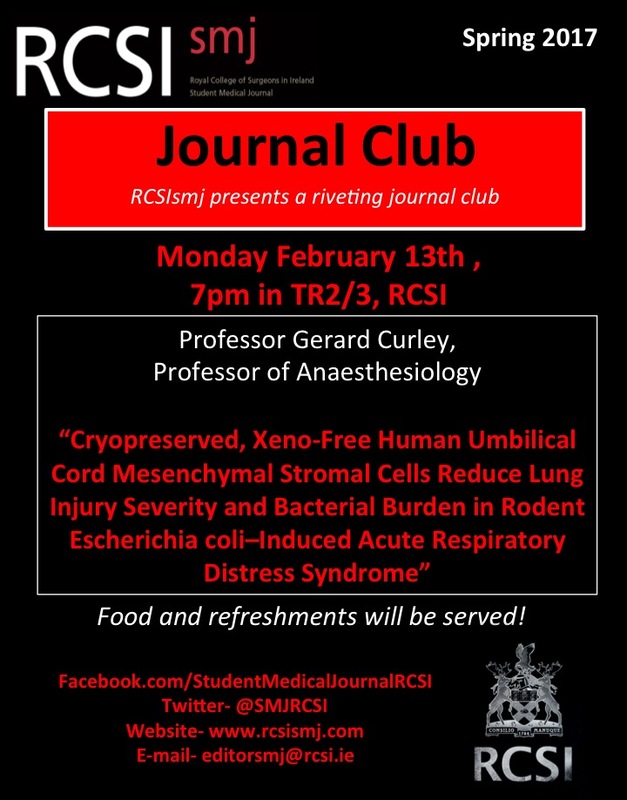 Join RCSIsmj in welcoming Professor Gerard Curley, who will be discussing his recent paper, “Cryopreserved, Xeno-Free Human Umbilical Cord Mesenchymal Stromal Cells Reduce Lung Injury Severity and Bacterial Burden in Rodent Escherichia coli–Induced Acute Respiratory Distress Syndrome“. 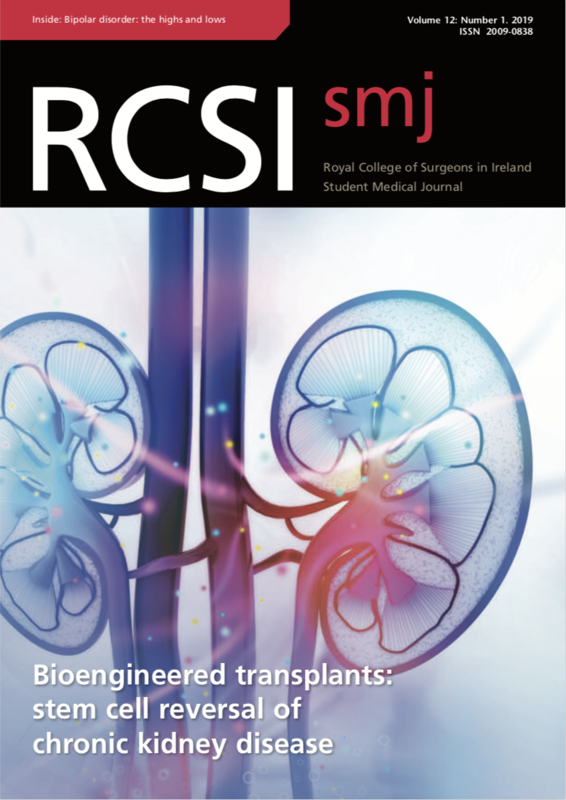 The presentation will take place Monday, February 13th at 7pm, in tutorial room 2/3 RCSI SSG. 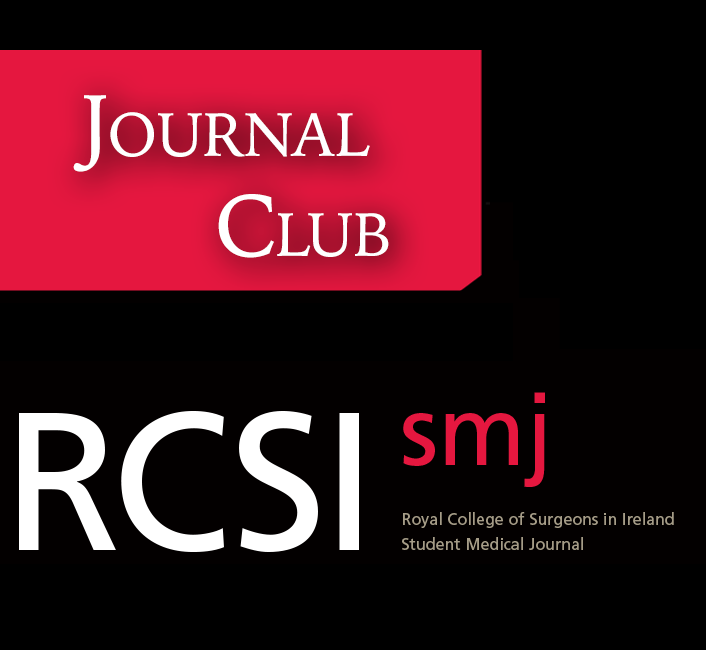 As always, drinks and refreshments will be served.